Georgia’s 67 opioid treatment programs (OTPs) aren’t enough to treat everyone in the state who needs it, but some of the need appears to be coming from Tennessee—a neighboring state that doesn’t have enough treatment programs of its own. There are also cries of unethical marketing from some programs in the northwestern corner of Georgia, which abuts Tennessee, and where Georgia’s OTP growth is highest. So, State Sen. Jeff Mullis called for a moratorium on new OTPs in Georgia, saying he wants to know why so many have opened. The freeze on new OTPs will last a year, under a bill sponsored by Sen. Mullis and signed into law by Gov. Nathan Deal last spring. Senator Mullis wants Georgia to regulate OTPs more. One possibility was a certificate of need, but this is off the table in Georgia. In addition, the OTP community views the certificate of need requirement as a barrier to care, and in fact Tennessee has used the requirement to actively discourage new OTPs, resulting in the pipeline to Georgia. The Georgia moratorium is widely viewed as more palatable than a certificate of need, something originally considered. 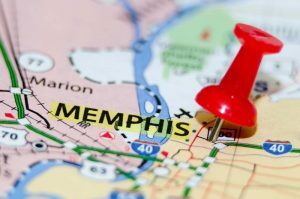 In Tennessee, the certificate of need is being used to impose a de facto moratorium going on indefinitely, whereas the Georgia moratorium would last one year. Stacey Pearce, Georgia delegate to the American Association for the Treatment of Opioid Dependence (AATOD), and board member of the Opioid Treatment Providers of Georgia (OTPG), takes a pragmatic viewpoint. “Jeff Mullis wanted to get something done, so when it became clear to us that something was going to happen, we had to work with him,” she told AT Forum. Georgia’s bureaucratic structure for OTP regulation is highly unusual. Cassandra Price, the top state official with authority over substance use disorder treatment, and Von Wrighten, the State Opioid Treatment Authority (SOTA), are in the Georgia Department of Behavioral Health and Developmental Disabilities (DBHDD). However, it is the Georgia Department of Community Health (DCH)’s Healthcare Facilities Regulation Division that inspects OTPs and enforces the state regulations for OTPs.The Georgia SOTA has no authority over the opening or inspection of OTPs in the State of Georgia. He is in a totally different department. 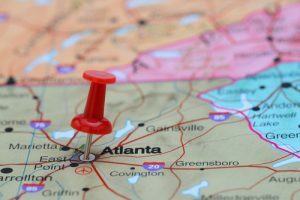 One of the big problems in Georgia, according to many providers, is that the federally mandated position of the SOTA is in a department that has no regulatory authority over OTPs. What the providers group would like to see is a change in the state’s regulatory structure. The idea is to place the SOTA in the agency that regulates OTPs, giving it some decision-making power. Half or more of the patient census in the OTPs in northwestern Georgia comes from Tennessee, by some counts. This potential need for services became very clear to operators who wanted to open programs to profit off the Tennessee demand, right across the Tennessee state line: in Greeneville, in Wildwood, and one on the Tennessee side owned by CRC/Acadia. In other words, too much treatment saturated the market in that town. But it’s hard for an OTP to back out, once the process of getting sited begins. “I’ve already bought a building, I’m already in the game,” Mr. Connell said. And he admitted that this is the purpose of the certificate of need. “But now we have tons of clinics opening up all over,” he added. “That’s fine, we need access to care.” But that can mean clinics poaching patients from each other—for example, in offering take-homes that a stricter clinic won’t give. This leads to a lowering of quality of care. OTPs are not allowed to pay bounties for patients. Offering low-cost treatments or extra take-homes is viewed by the OTPG as bounties, and therefore not allowed, said Mr. Connell. However, a surveyor for the state looked the other way, saying these arrangements don’t fall under the definition of a bounty. That surveyor no longer works for the state, but works for the OTP doing the transfers. There is some disagreement among OTPs as to whether these are bounties—for example, some providers say that charging $1 a day for a certain amount of time is not a bounty, as long as it is offered to everyone and is not a reward for referral of patients. There are now five OTP applications in the same area of northwest Georgia that is home to five existing OTPs—all within a 10-mile radius. The existing OTPs are CRC/Acadia in Chattanooga, CMG, Crossroads, Tri State, and Private Clinic North. There are concerns that uncontrolled expansion of office-based opioid treatment with buprenorphine: providing medication only, with no supportive care, can result in buprenorphine diversion. Marijuana, which is illegal in Georgia, is a case in point. “There are programs that do not test for marijuana or do not treat it as an illicit substance, and are allowed to continue this practice or have these policies, unbeknownst to regulators,” said Mr. Connell. “These programs may attract clients away from providers who follow the regulations.” The people who ultimately suffer from these practices are the patients, he said. Author’s note: Cassandra Price, when asked for an interview for this story, deferred to the OTPG.